In this article, I am going to explain about the Event ID 4985, how to enable Event ID 4985 using Local Security Policy and Auditpol.exe, and how to disable or stop the Event 4985. 2. Go to the node Audit Policy (Security Settings->Local Policy->Audit Policy). 3. 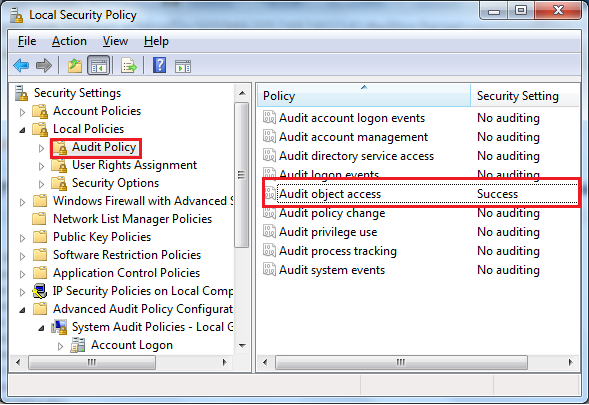 In the right side pane, select the policy Audit object access and configure Success setting. 4. In Window 7/Windows Server 2008 R2 and later versions, you can also configure through Advanced Audit Policy Configuration. Go to the node Object Access (Security Settings->Advanced Audit Policy Configuration->System Audit Polices->Object Access). 5. 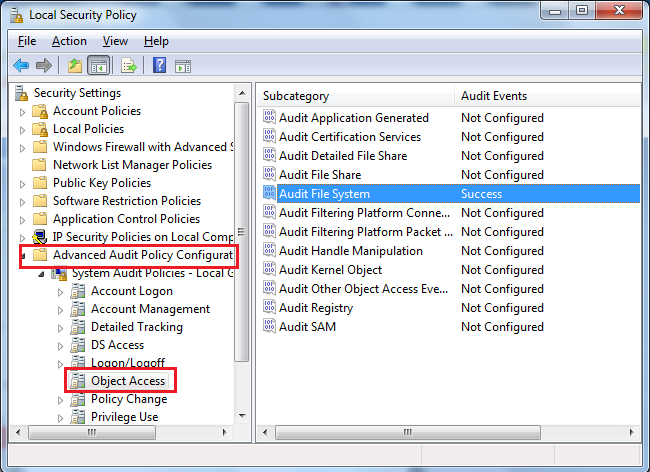 In the right side pane, select the policy Audit File System configure Success setting. You can disable or stop the audit Event ID 4985 by removing success audit in File System subcategory by using the following command. You can also stop this event by removing the success setting from the Local Security Policy in the setting path Security Settings->Advanced Audit Policy Configuration->System Audit Polices->Object Access->Audit File System.